When does SARS Tax season Start South Africa? The tax season 2019 for individuals is upon us. SARS tax year 2019 starts 1 July 2019, are you ready? SARS definitely improving their service, they have realised there is a mad rush once the tax season starts so they have started early with their notifications. A SARS Media Release 2018 list is available. DO NOT forget to file your SARS tax return 2019, penalties for late tax return submissions are REAL and can accumulate quickly. Dear eFiler, tax season starts 1 July 2019. Forgot your eFiling login name and password? Obtain or reset via eFiling or call 0800007277. Be very careful, make sure you are on the official SARS eFiling website. Many scams have been reported in the past. Have a happy tax season 2019, it almost sounds like Christmas … for some it actually will be. For the rest Tax Break hopes to assist in making tax year 2019 better. 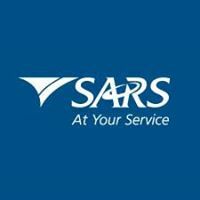 SARS Tax Year 2018 will be shortened by three weeks, running from 1 July to 31 October 2018. This impacts all individual non-provisional taxpayers.This deadline also applies to provisional taxpayers who opt to file at a branch. Provisional taxpayers who use eFiling have until 31 January 2019 to file.The deadline for manual submissions is 21 September. As an innovative revenue and customs agency, SARS aims to enhance economic growth and social development, thereby supporting South Africa’s integration into the global economy in a way that benefits all citizens. SARS Mobile Tax Units will be visiting different areas to help taxpayers with the submission of income tax returns, eFiling, income tax registration and general enquiries on tax matters. Don’t miss out on the opportunity to get service close to you. Remuneration includes salary, bonus, overtime, leave pay, etc.